The awesome people at Titleist have been coming out with a BUNCH of cool new stuff! How about some new Towel designs? I've had the same (3) Titleist towels forever. They are all black,... some are all black and some are black, Red, and white. Ive seen some really cool Titleist towels from Japan, but the same styles have been offered for quite a while. How about some white towels, or grey towels, or blue? Just something different!! 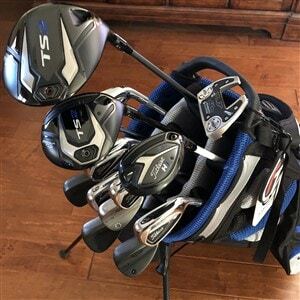 I am a Titleist lifer, so I'm not complaining, just want something new and different! Hit em' well!